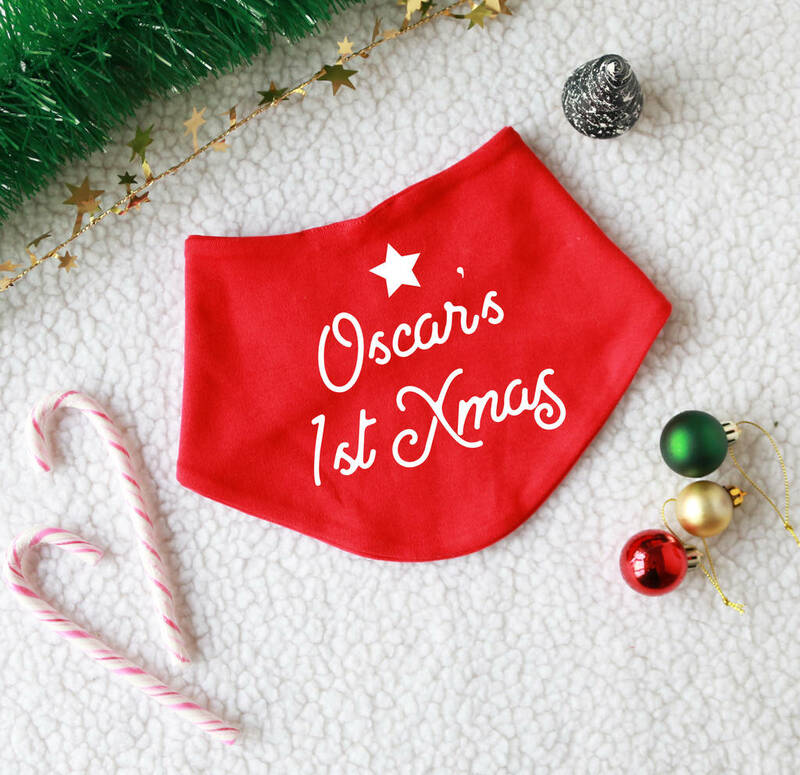 Our personalised first christmas bib is perfect for your little ones first christmas dinner. 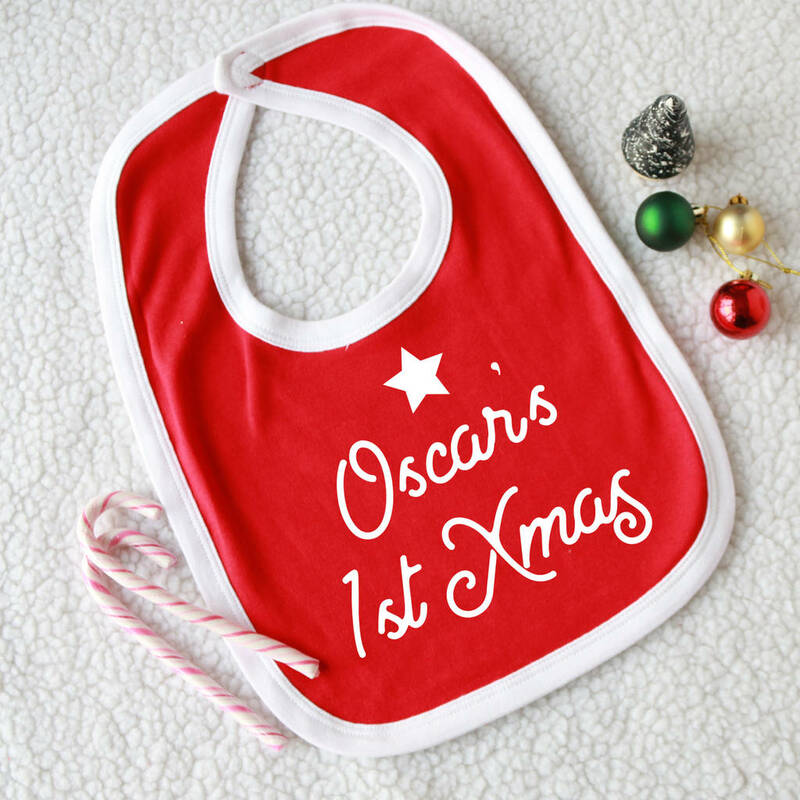 Our gorgeously soft christmas baby bib can be personalised with your choice of name making a truly unique and thoughful gift. 100% cotton, printed with eco friendly water based inks.